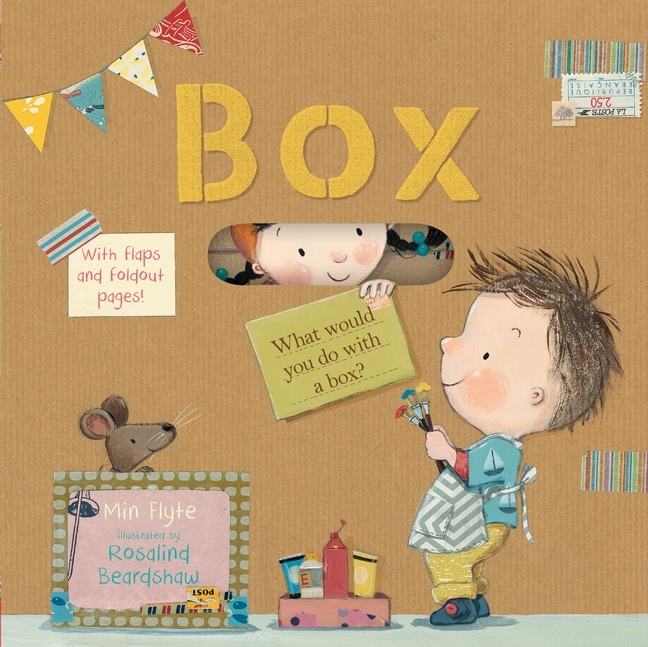 Box by Min Flyte with illustrations by Rosalind Beardshaw is about one of my favorite things - boxes. Building cardboard box forts as a kid and for my kids, as well as smaller cardboard box houses for dolls and toys, is and long has been one of my favorite things to do. 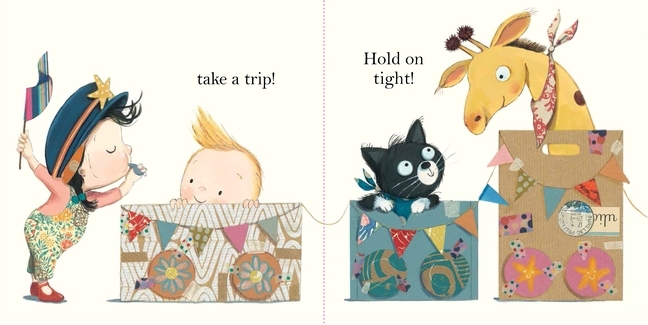 With Box, Flyte and Beardshaw have created a marvelous story and exploration that little listeners will love. Best of all, and crucial for a book in which boxes are the star, there are TONS of flaps to lift and boxes to peek inside! Unfortunately, I could not find any illustrations to show you just how fantastically the flaps compliment the illustrations and story so I'll just have to describe them. Thomas, Alice, Sam and Nancy each have a box. What is inside each box? A drum, a blanket, a tricycle and more boxes! Five flaps lift to reveal a toy mouse sleeping in a cozy little box. After the boxes are emptied, of course they need to be played with every bit as much as the things that were inside! Imaginations take off and castles, pirate ships and puppet theaters are created - all with flaps to lift. But wait, there's more! If you put all the boxes together you get a special flap that unfolds, like an accordion, to reveal a rocket ship! But wait - there's even more! A four page gatefold reveals one more creation, followed by tired out inventors and creators asleep - in a box, of course!